The Runaway Mama has been intense lately. Harry’s medical crisis put us on a nauseating ride we just couldn’t get off. He finally came home last Friday night – after spending ten long nights in the hospital and having surgery to remove an insulinoma tumor from his pancreas – only to have to go straight back on Sunday. Our poor little pup began showing signs of possible pancreatitis, a fairly common (and fairly terrifying) post-surgery complication, and a new – that’s right, a new – herniated disc in his back. At this point, I’m pretty sure Harry could be the star dog of a reality show about the medical mysteries and inner workings of an emergency veterinary hospital. Mark Burnett, are you reading this? On Wednesday morning, we did “take two” of Harry’s homecoming. So far so good this time around, which is why I’ve officially lifted the veil of darkness from the blog. It’s time to lighten up a little bit. That, and being sad and worried and scared all the time is exhausting. Like our favorite Chinese food delivery place (that we can no longer afford), the veterinary hospital has our credit card on file. Hanukkah and Christmas this year (and next) (and the year after that) are cancelled, and family vacations will resume in approximately 30 years when Dylan and Riley invite us on their family trips to babysit their whiny and cranky children. We’ve even given Harry-Barry Bo-Berry Bo-to-the-Berry a new nickname: Reno, as in, the kitchen Reno-vation that will never happen. Yet… even so… but still… nonetheless… be that as it may… I. cannot. stop. shopping. It started off innocent enough. It was my birthday, after all. I had some gift cards from friends and family, all of which helped make a little electric stage blue dream come true. But then things got a little weird. One morning, I found myself filling an Etsy.com shopping cart with pillows, clothing, and tchotchkes covered with Boston Terriers. On that wacky online adventure down the “let’s turn my house and wardrobe into a shrine to Harry” rabbit hole, I found that the jewelry company, Dogeared, has a new line called “Wag” that features charms of popular dog breeds. I quickly deduced that they didn’t have a Boston Terrier charm, so I did what any Shopaholic Mama with a sick dog in the hospital would do. I emailed customer service. 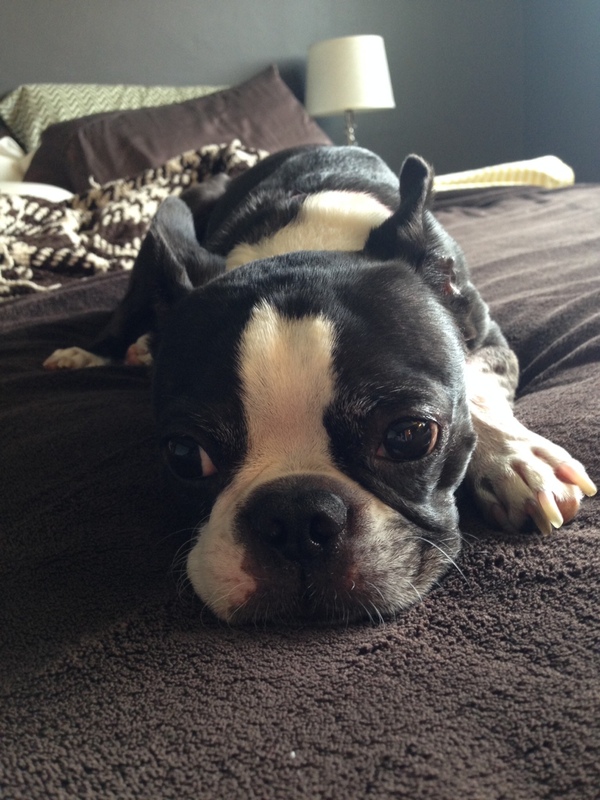 Please – oh please – make a Boston Terrier charm – for your new Wag collection! Please. PLEASE. PLEASE!!! Do you know what? They actually emailed me back. The same day. They said they’d forward my request to their design team (or perhaps to their security team). Either way, I’m cool, as long as they make the damn charm. In the meantime, I’m seriously considering their dog bone necklace in silver. After my online binge (relax, I didn’t buy anything on Etsy…yet), I moved on to some good old-fashioned brick and mortar shopping. 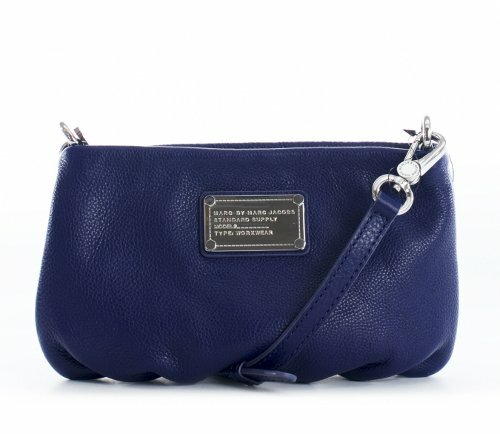 Of course, I timed that spree with the fall Bloomingdale’s Friends & Family sale. Of course. And, of course, walking around the store caused me to fixate on what to wear to my 20th high school reunion on November 30th. The reunion that’s seven weeks from now. Of course. I could wear the owl blouse, but I wonder what my high school classmates would think about me walking into the reunion dressed as creepy owl lady a month past Halloween? After twenty years, we’re supposed to be past all the insecurities, right? My owl obsession is totally cool, isn’t it? Isn’t it? A sweater and boots would probably be more appropriate for Massachusetts weather in late November, but somewhere between the denim and the shoe department, I became totally and completely obsessed with finding yellow sandals, because a splash of color on my feet would look great with the black and white striped dress that recently arrived in the mail from Piperlime.com. (Did I fail to mention that online purchase?) It doesn’t matter, though, because I couldn’t find yellow sandals anywhere. Winter boots and metal embellished booties were everywhere, which should have turned my razor-sharp Crazy focus back to cold-weather fashion for the reunion, but instead it further fueled my ridiculous infatuation with buying yellow sandals for the sleeveless racerback voile dress that I could never wear in November in New England…unless I had a cardigan, but I digress. I left Bloomingdale’s empty-handed and defeated, with my tail between my legs, and, sadly, wondered if DSW might still have a good summer sandal selection. Back at home, I walked straight into my closet and practically tripped over a beautiful pair of yellow sandals with a cork platform heel THAT. I. ALREADY. OWNED. My name is the Runaway Mama and I am a Shopaholic. Harry is finally home for good (we hope), and it’s no coincidence that my shopaholic bender has subsided, too. There are still some packages arriving on my doorstep here and there (look the other way, people! ), but the frenzy is over. Poor little Reno, er, Harry has a long recovery ahead of him. He spends most of his time resting in a crate. He’s not allowed to do anything but eat, take meds, pee and poop, and sleep. Doctor’s orders. This course of treatment might also be the perfect prescription for a helpless, hopeless, and accidentally unleashed Shopaholic. Glad to hear Harry is home and recvoering. Thank you! He’s actually doing very well. Poor guy has been through so much. His tail is wagging a lot, and we’re thrilled. I have a brown and white Boston, and I am always trying to find things with brown Boston’s on them. It’s extremely hard to find anything other than black and white, so when I do find something I usually buy all that they have of the item. Oops…glad Harry is home! My BT, Malia, sends him hugs! It’s easy to get caught up, isn’t it! Harry sends hugs right back. He’s doing very well. Thanks for reading! It is so hard when our pets get sick. Sending some healing energy thoughts. Thank you. Harry’s doing very well. We’re on the right track…finally!